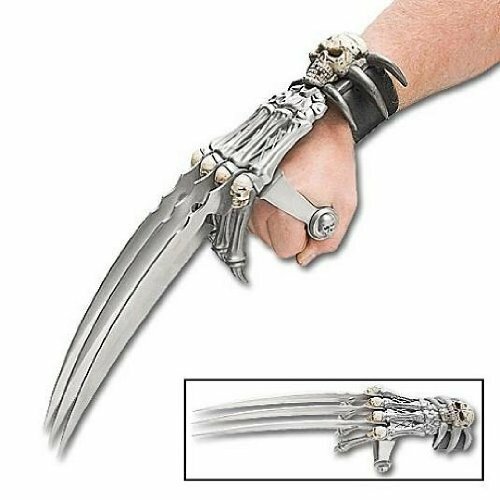 The Z-Slayer Claw is the latest in the line of defense against undead protection. This item is easy to equip in midst of the latest swarm. Stick your arm through the nylon loop and tighten it fast with the velcro, then wrap your hands around the handle bar and prepare for war. 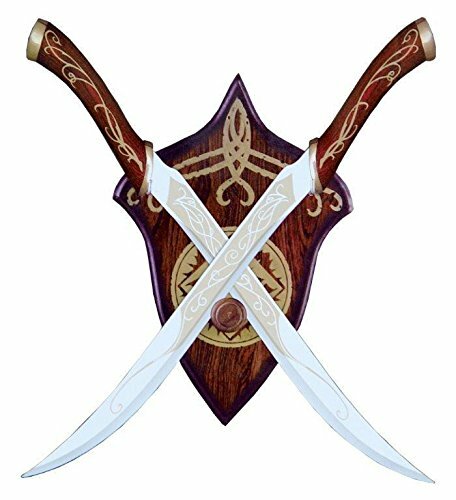 The blades are 10.5 inches overall and there are three of them featured. Each one is black with red blood-like designs on the outer facing blades. 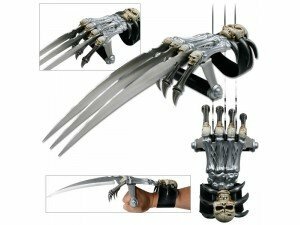 There are detailed skulls adorning the knuckles and handle bar while there are also bone-shaped claws extending under the blades. 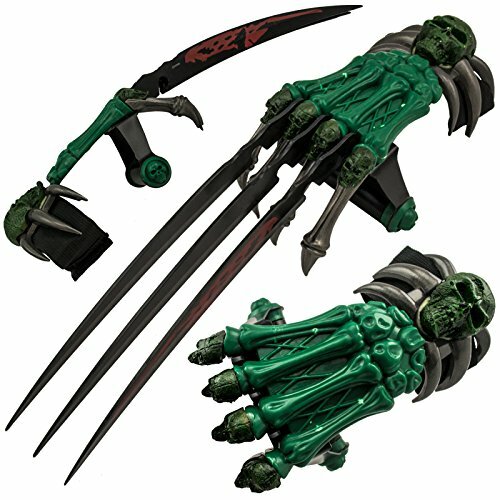 The whole item resembles a green beast's skeleton hand with claws extending from it. Very badass, very nice. 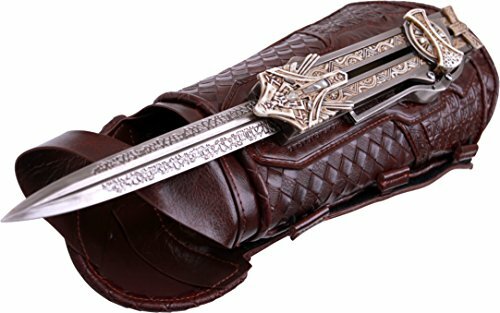 Relive the action of the Assassin's Creed movie with this officially licensed replica of aguilar's hidden blade. This retractable 8-Inch stainless steel blade is hidden in a life-size, faux leather gauntlet that features an intricate woven pattern. The blade is unsharpened for safety, and it features intricate acid etchings. The blade extends with the press of a button, and it features a safety mechanism to keep it in its sheath when not in use. It comes with a Certificate of Authenticity. 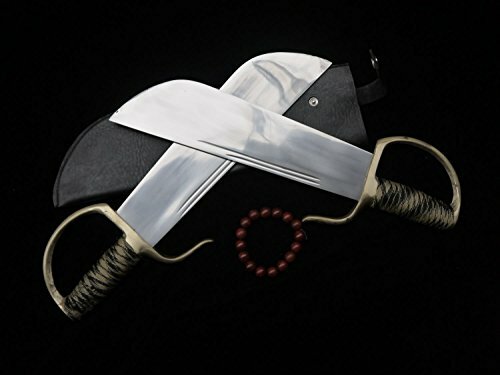 Item Specification:Material:Stainless steel; Sword Type:Hand Made Sword; Package weight:2.5 KG; Overall Length:16"/42CM; Blade Length:12"/30CM; Scabbard:Leather Production; Handle:Brass production; Knife fitted:Brass production; Condition:Brand New; Origin:Longquan Zhejiang China; Accessories:Cotton sword bag. Note: 1.length may have small error; 2.you can contact us if you need customized blade lettering or other changes; 3.we are the manufacturers, many commodities is now assembled, each shipment might be slightly different. Please understand, thank you.. 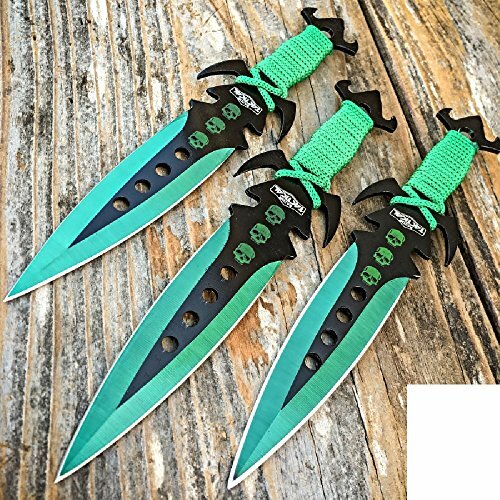 This product was produced in City, Zhejiang Province, is the new, modern production.Lingua Sword maintenance of common sense: Sword generally consists of three components:blade,sheath and accessories.The main body, blade,is mostly iron,steel,copper.Sheath is made by wood. In order to avoid getting rusted,it should not be stored in damp place nor contact with sour, salty substances. Hand touch should also be avoided in case the surface got corroded by sweat.Oil shoul be applied on surface for maintainance for medium carbon steel,high carbon steel,pattern-welded steel(Damascus steel)material stainless steel blade. 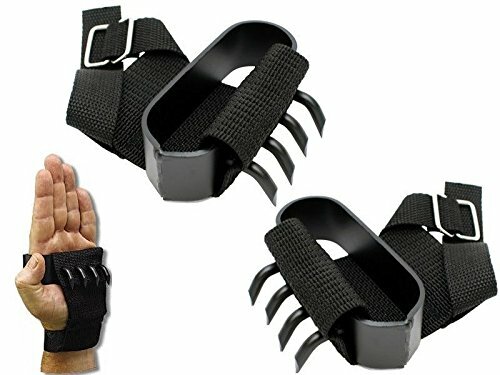 This is a Ninja Shuko Climbing Claws Set. The Ninja Shuko hand claws is made from Steel. It also comes with adjustable wrist bands to fit any size of wrist. The overall construction is made from heavy steel, all-black finish. This Ninja Shuko hand claw is sold by the pair. 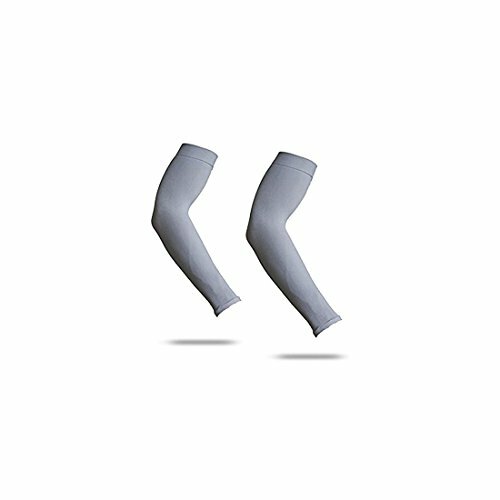 Great for scaling walls, mountains, or the side of a building if you decide to embrace your inner Ninja. 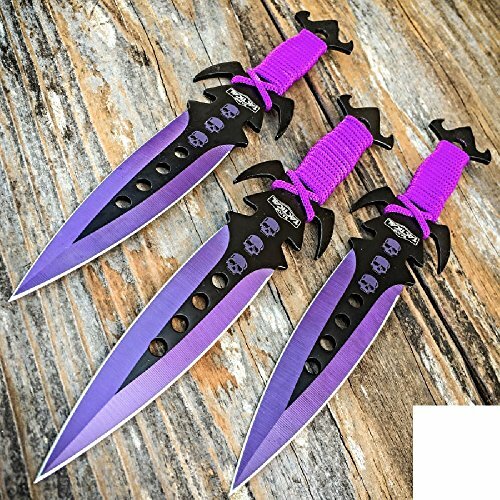 Specification: List Length: 7.5" Actual Length: 7.5" Blade Length: 3.5" Handle Length: 4"
Compare prices on Gauntlet Knives at ShoppinGent.com – use promo codes and coupons for best offers and deals. Start smart buying with ShoppinGent.com right now and choose your golden price on every purchase.